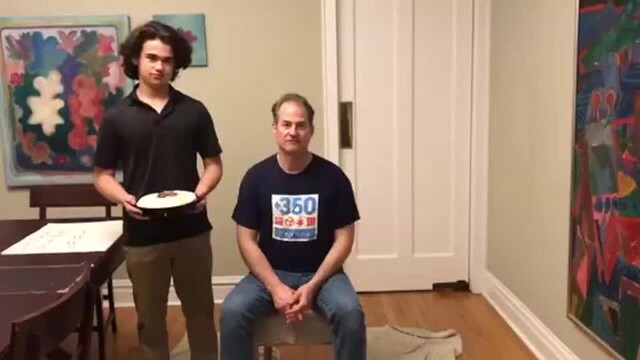 350 Chicago – Thank you for donating on Giving Tuesday…and as promised, pie-in-face video! 350 Chicago can’t thank you enough for making #GivingTuesday a huge success. Through the generous support of donors, we raised over $3000 in just one day! These funds will assist us in growing the 350 Chicago organization and help us empower Chicago to achieve the mission of divestment from fossil fuels and the implementation of 100% clean energy. our own Larry Coble takes a pie to the face!